QG’s newest brand is another iconic English brand that we are bringing to Maryland. Pantherella matches ethos of QG’s desire to marry modern with the best of tradition. Discover Pantherella in its all glory. Take a look behind their famous blue door and find out what sets Pantherella socks apart from the competition. 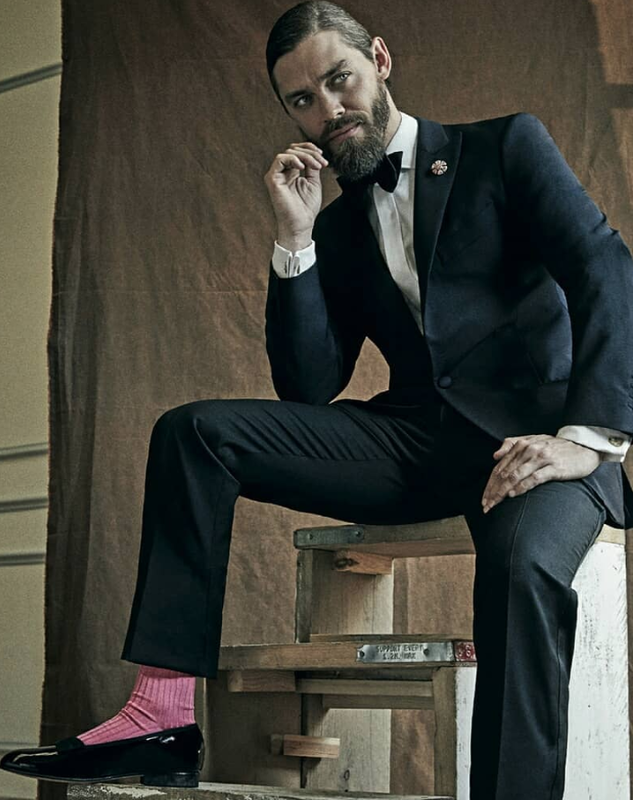 From the world’s most luxurious yarns to their highly skilled craftsmanship Pantherella socks are the world’s finest socks made in England since 1937. Pantherella first opened its doors in 1937 and began trading as Midlands Hosiery Mills, an established women's hosiery factory. Fast forward to 1945 and our name was changed and a legend was born: Pantherella Fine English Socks began trading. The maverick behind Pantherella was Louis Goldschmidt, he had a vision that fine gauge english socks were the future. Tired of producing bulky bland, uncomfortable socks for men he believed that lightweight, seamless, fancy socks would be in high demand. After careful persuasion Goldschmidt convinced local machine makers P.A. Bentley to produce a specialist sock machine. The demand for lightweight mens socks was significant. By the time the competitors cottoned on to Goldschmidt’s innovative design plans he had already set the industry standard, leaving the competition in the shadows. Pantherella were renowned for creating the worlds finest socks. Over his time in the industry Goldschmidt had developed an admirable list of contacts, enabling him to export his products within Europe. It was during the 1940s he began exporting to North America, followed by Australia in later years. Pantherella's exports grew to huge numbers, on average 75% of production. Pantherella was a storming success the world over. Pantherella has never shied away from setting precedents; when others have turned to cheaper alternatives, Pantherella have held firm in their beliefs, still today making all of our fine English socks right here behind the blue door at our family owned factory in Leicester. Pantherella's philosophy of 'Provenance, Design & Quality' still rings true today. 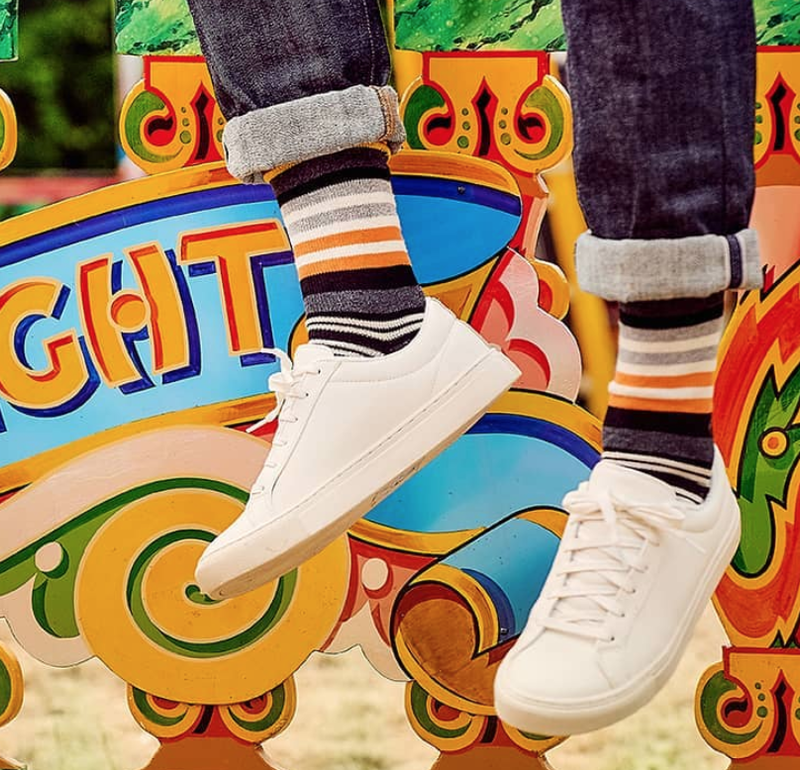 Our collections have advanced in leaps and bounds since the early days of Louis' basic ribbed socks. Fall/Winter 2018 is now stocked at the QG. Please pay a visit soon and come see them for yourself.